Hardly will you find anyone who grew up in the 90s that don’t know Jim Carrey. He is the funny man of Hollywood who gave the world gems like Dumb and Dumber, The Mask and several other classic comedy and even dramatic films. Since he became an A-lister in the industry, he has attracted a lot of media attention, and that has spilled on to some of his relationships, like his now ex-wife, Melissa Womer. Melissa Womer was married to Jim Carrey for about seven years before they went their separate ways, and although she does not share the fame, acclaim, and prestige of her ex-husband, she has had a couple of projects of her own, such as Man on the Moon in 1999. Learn everything you need to know about Melissa Womer below. Melissa Womer has been involved with one of the most famous men in Hollywood, and as an actress and film producer, she has carved her name in a small part of the vast Hollywood history. Her life began on the 8th of July, 1960 when she was born as Melissa Jaine Womer to her parents in New York City. According to public record, Melissa did not exactly have the best childhood a child could hope for, having been born into what has been essentially described as a dysfunctional family. Melissa Womer, however, determined to make something of herself regardless of her background, completed her basic education and proceeded to the University of Kansas where she earned a Bachelor’s degree. While she was in college, her affinity for comedy manifested as she wrote jokes for a radio station, Q104. After graduation, Womer moved to Hollywood in a bid to establish herself as an actress and a comedic actor. While she took auditions, she worked at the Comedy Store, performing some of her jokes at the famous venue. Over time, her reputation grew and she found her voice as a comic act, she got cast in a film, Petrocelli. To Melissa Womer, it signaled what was bound to be the start of a long career in the industry as an actress. Unfortunately, more acting roles never came for Melissa Womer and she did not get cast in a film again until Man on the Moon in 1999. Before she got her second credit as an actress, she got her first credit as a producer, in Real Stories of the Donut Men. In the millennium, Womer hasn’t appeared in any other film as an actress and has only recorded credit as a producer in a TV show, The Yesterday Show with John Kerwin. When Jim Carrey was still an upcoming comedy actor; a comedian still looking to find his way in an ever-competitive industry, Melissa Womer met him at the renowned Comedy Store in 1986. The coincidental meeting between the two sparked the beginning of a loving relationship that kicked off a couple of weeks after they met for the first time. Their relationship, which was thriving and full of love then led to a wedding ceremony and the decision to commit to each other for the rest of their lives in 1987, in a ceremony that was held in a hotel in Santa Monica, California. 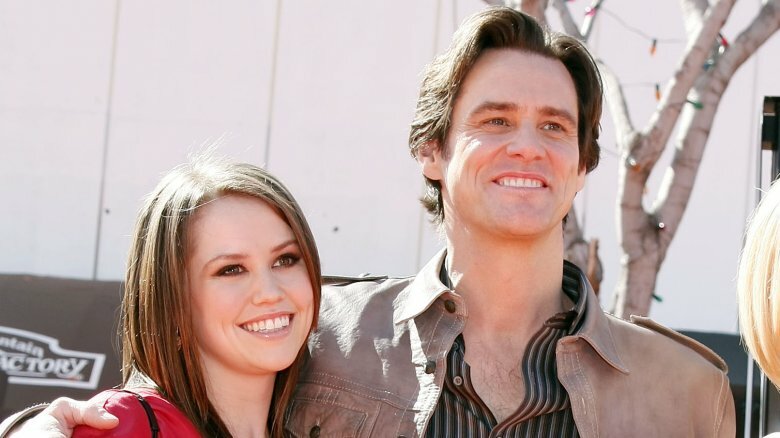 With Jim Carrey and Melissa Womer established husband and wife, they welcomed the symbol of their love, a daughter, Jane Erin Carrey who was born a few months after their marriage. However, the strong start to their lives turned out to be short-lived as Jim Carrey filed for a divorce from his wife in the mid-90s, with the comedic actor claiming his busy career and his wife’s career had led to the collapse of what was once a thriving marriage. The divorce, which was less than pleasant was completed in 1995 with Jim Carrey paying Melissa Womer $3.5 million in the divorce settlement. She got a further $7 million after eight years of separation in 2003. Ever since Melissa Womer and Jim Carrey went their respective ways, Melissa has stepped away from public life, and she has also remained single although her ex-husband has been in a couple of relationships since the end of their marriage. As for her family, she is now a grandmother after her daughter gave birth to her child, Jackson Riley Santana in 2010. Melissa Womer might be a grandmother now, but she has continued to maintain a great physique as shown from the few pictures of her that have made it on to the public sphere. She has a height of 5 feet 7 inches which is accompanied by a body weight of 58kg. Other noticeable features include her brown eyes and blonde hair.